BALTIMORE -- An FBI agent testified that cell tower data records originally entered into evidence in the trial of a convicted killer at the center of the popular podcast "Serial" were accurate, as was testimony from an AT&T radio frequency expert. Agent Chad Fitzgerald took the stand Monday to finish testimony he began last week in a hearing for Adnan Syed, who was convicted in 2000 of murdering his high school girlfriend Hae Min Lee. 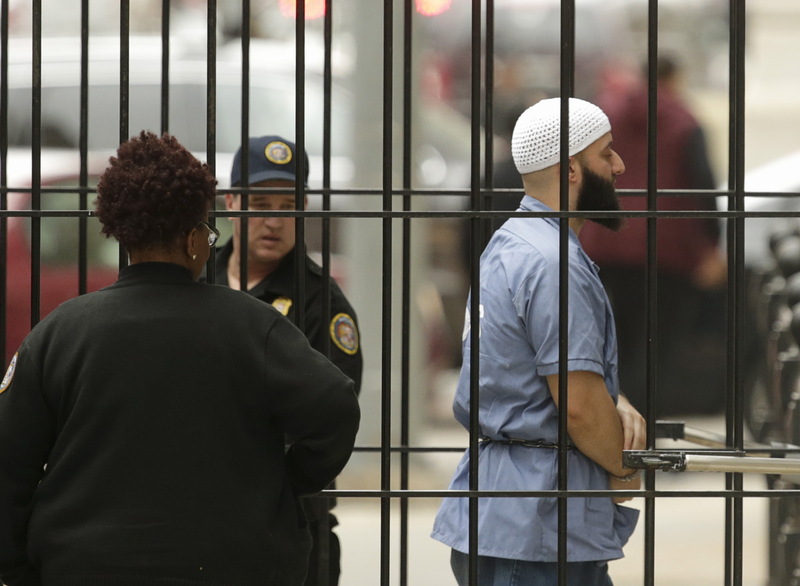 The hearing will determine whether Syed deserves a new trial. Syed's attorneys have argued that his lawyer was ineffective because she didn't contact an alibi witness, and that cell tower data presented to jurors was misleading. The data placed Syed at the burial site where Lee's body was found, but defense attorneys argue that the data only reflected outgoing calls, and any information gleaned about incoming calls was unreliable. That warning was outlined in a cover sheet never given to jurors or the expert witness who reviewed the data. Defense attorney Justin Brown last week presented an affidavit signed by the technician, Abraham Waranowitz, who said his testimony in Syed's first trial would have been different had he seen the cover sheet. Fitzgerald said despite the affidavit, Waranowitz's testimony was accurate, with the exception of one phone call he misidentified. "I believe his analysis was very thorough," he said. Fitzgerald also accused Syed's defense attorney of trying to sway his testimony by manipulating a cell tower data document. Fitzgerald said one document he was presented during the hearing did not include dates or times certain calls originated, omissions he said are crucial to understanding its meaning. "It's offensive that you handed me manipulated evidence and tried to undermine my expertise," Fitzgerald told defense attorney Justin Brown. "I figured out what you are doing. I think you got caught in your game." Brown said that document was not doctored. He said it was found in Syed's original defense file. Brown said that document was all Syed's attorney, Cristina Gutierrez, had to build her case with, proof that Syed's original defense team relied on bad records and bad information. "If that's all the defense attorney had, how could she understand anything?" Brown said. After Fitzgerald completed his testimony, Brown called attorney David Irwin back to the stand. Attorneys last week agreed to press pause on Irwin's testimony before Deputy Attorney General Thiru Vignarajah had a chance to cross-examine him so the state could call Fitzgerald, who said he would be unavailable to testify this week. When Irwin testified last week, Irwin called Asia McClain, whose last name is now Chapman, a witness whose testimony is "critical" and would have "changed the ballgame" had she testified at Syed's trial. She said she saw Syed in a library at the same time prosecutors say he killed Lee but was never contacted by Syed's defense team to testify. On Monday, Irwin maintained that Gutierrez failed in her duties as a defense attorney when she didn't reach out to Chapman. Vignarajah asked whether an attorney would be obligated to contact a potential alibi witness even if that witness was "gossipy," and could potentially hurt the defendant or contradict his or her story. "Still gotta find out," Irwin said. "There's no way the defense team should not have investigated this." Chapman testified for two days last week that she and Syed spoke for roughly 15 minutes on Jan. 13, 1999, when Lee went missing. She said she was never contacted by Gutierrez, and that the original prosecutor in the case, Kevin Urick, misrepresented the case to her during a phone call in 2010, prompting her not to try and contact Syed's lawyers with her alibi. Lee's family have been largely silent since Syed's sentencing, but they released a statement Sunday questioning McClain's motives. "Unlike those who learn about this case on the Internet, we sat and watched every day of both trials - so many witnesses, so much evidence," the statement read. "We wish Ms. Asia McClain had watched too, because then she would not do what she is doing. Whatever her personal motives, we forgive her, but we hope she will not use Hae's name in public, which hurts us when we hear it from her. She did not know Hae, and because of Adnan she never will."